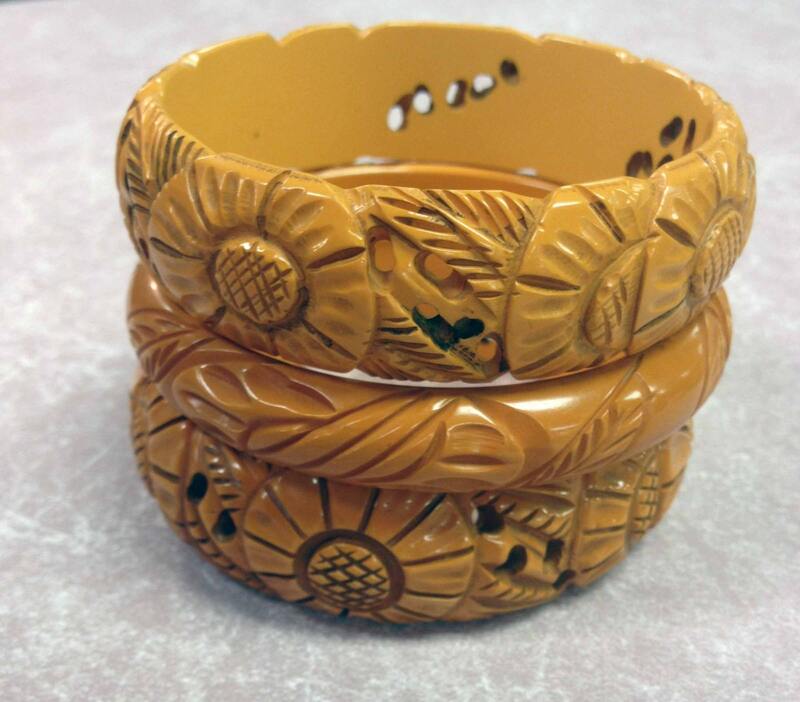 Gorgeous intricately carved and pierced set of 3 Butterscotch Bakelite Bangle Bracelets. 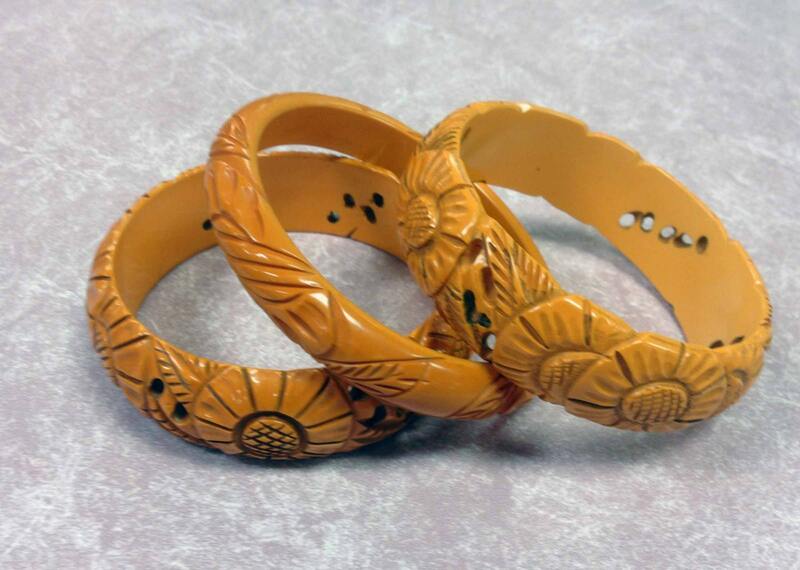 The two wider bracelets have nearly identical carving and the center bracelet uses an identical variation of the foliage on the bracelets. This set has been together for a long time which is rare, these usually get seperated. 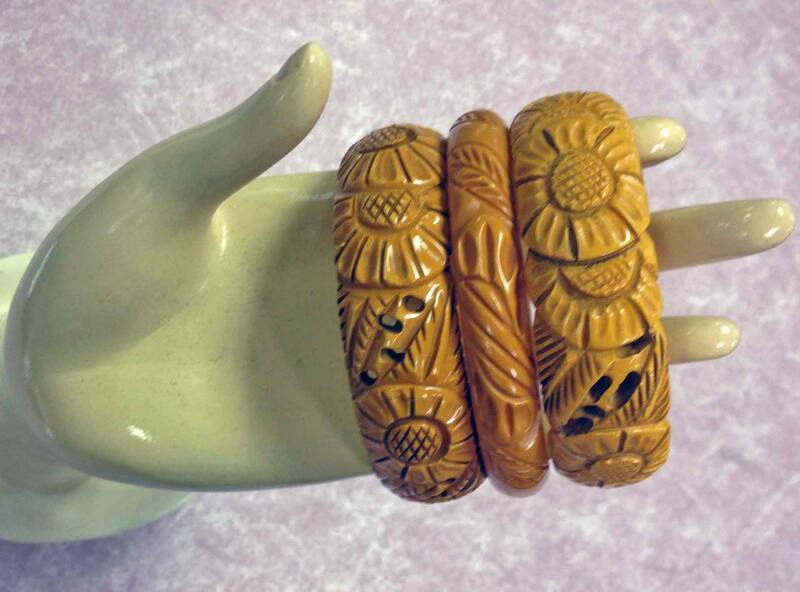 The bracelets are in very good vintage condition, sold as found. Incredible statement set, true vintage. Standard 2.5 inch opening. Wide bracelets are nearly a full inch and the center bracelet is approx .5 inches. You will not be disappointed with this little stack.